Do you think Wlad's height is accurate? Discussion in 'Boxing Discussion' started by ZroC, Dec 16, 2012. I saw this thread in boxingscene and thought it'd make interesting discussion. 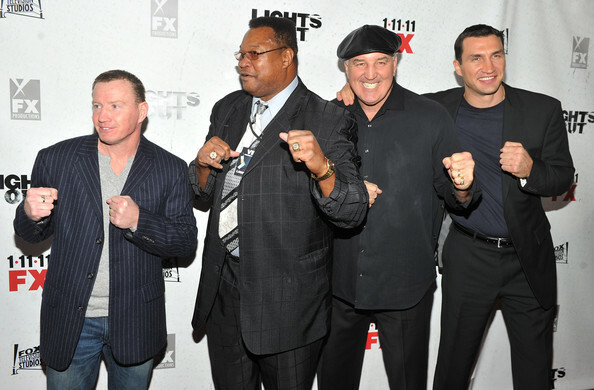 Here are some pics of standing beside 6"2/3 Larry Holmes and there doesn't seem to be much of a height difference between them. Wlad is listed as 6"6 yet it looks like about an inch difference between them. Larry is standing slightly in front in some but that's not enough to skew appearances. Doesn't look like he's wearing thick shoes either. That is what I was going to say, and his knees are bent a bit. 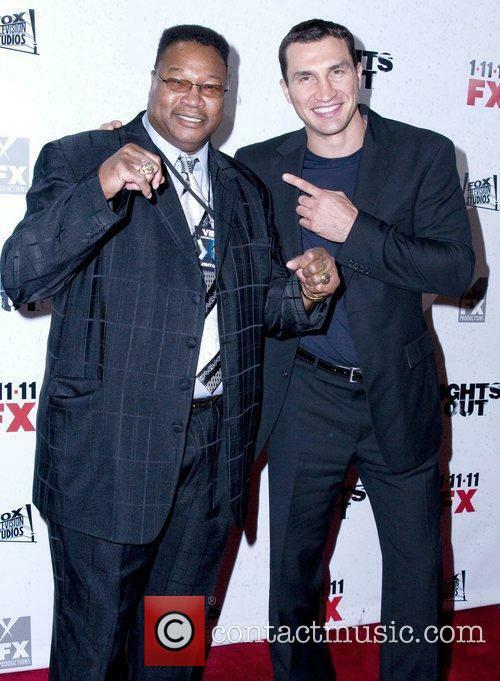 Larry Holmes was a great fighter. All I care about is that Holmes beats Wlad prime to prime.